You’ve bought the perfect pairs of heels shoes for a wedding or cocktail, and suddenly… Oh no! the heels are broken-down. The heels has sunk into the grass or mud, With how expensive and beuatiful they are! 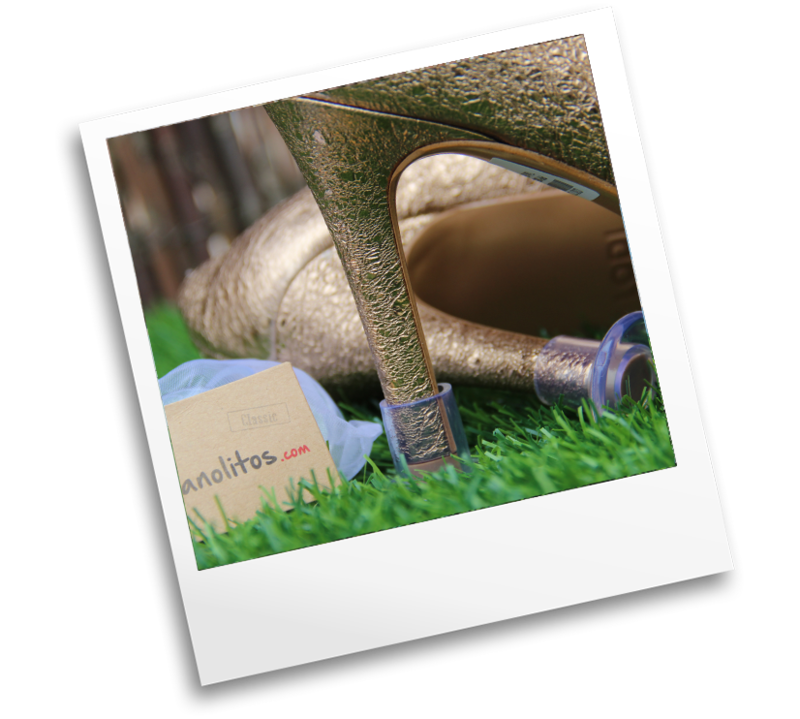 You can enjoy that special moment without worrying about your shoes getting damaged! Your party shoes will come back just like new. Forget about going home with your shoes spoiled or muddied. 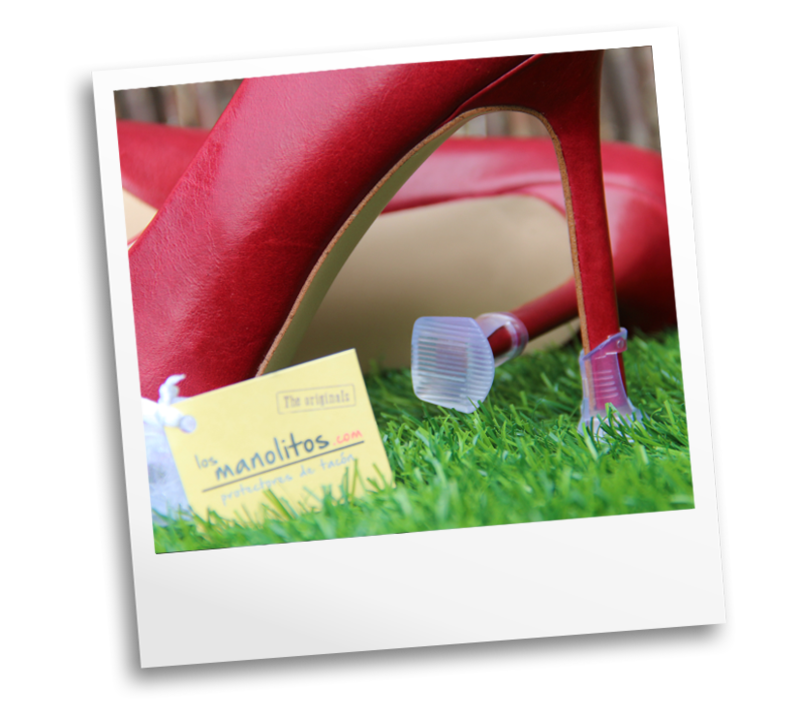 The Manolitos lengthen the life of your heels. Thanks to the flexibility of their material, the protectors adapt easily to different types of heels, help avoid slips, muffle noise, and prevent scratches on wooden floors. The Original Manolitos are the traditional model of the brand. Thanks to their innovative square design, they are very discreet. So, they will go unnoticed on your shoes. They are manufactured using PVC and thanks to their base of relief, they are resistant to any type of surface: grass, floor boards, gravel, etc. You can use them as many times as you want and they are available in 4 sizes: XS, S, M, and L.
The Classic Manolitos are a new model that the brand has incorporated. 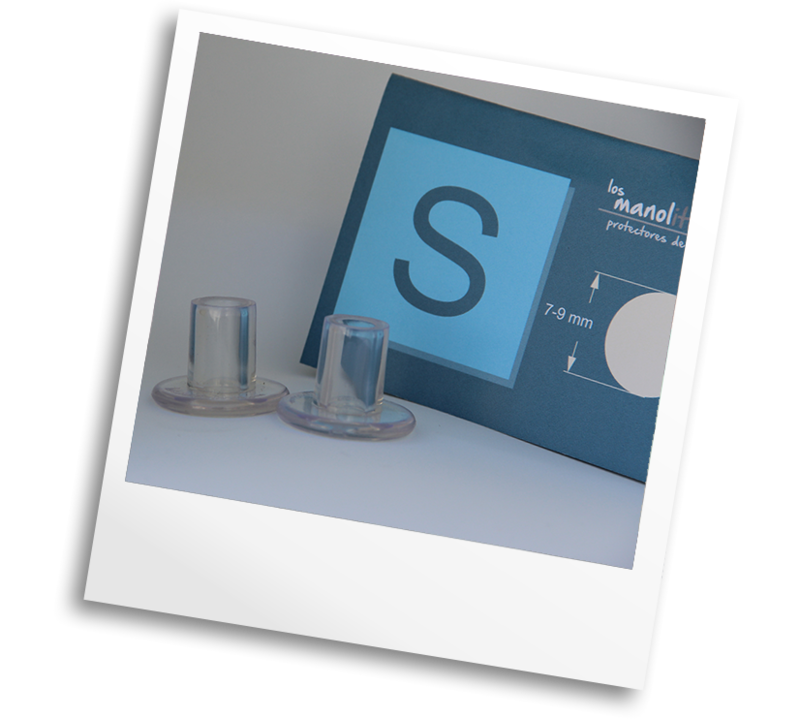 They have round-shaped heel protectors that are manufactured using silicone and are able to adapt to any type of heels without scratching them or leaving any trace. Also, thanks to their broader base, they provide more stability when walking on soft or uneven surfaces like grass, floor boards, gravel, or sands. They are available in 4 sizes: XS, S, M, L.. Both the Original Manolitos and the Classic Manolitos perfectly fulfill their function. We recommend that you choose the ones that you like the mostst. Give them away at your wedding. They will thank you ! When you give a shoe, the Manolitos are the perfect complement. The Manolitos corner at the event. If you have wooden floors offer them to your guests . Parties in hotel pools , discos , summer terraces , etc. The manolitos are heel protectors that will prevent dirt and dampness from entering the heel of your shoes. The Original and Classic models are manufactured using PVC and silicone, so they prevent slips, reduce noise when you are walking, are very discrete, and easy to use. Because they are transparent, they can adapt to any color of heels. So, they will go unnoticed and won´t affect the aesthetic of your shoes. The Manolitos are small, and you can go out anywhere with your heels protected.